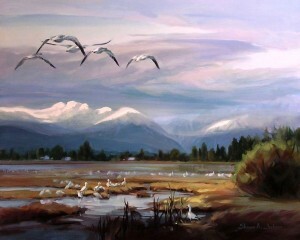 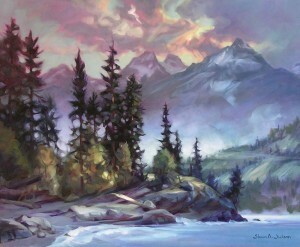 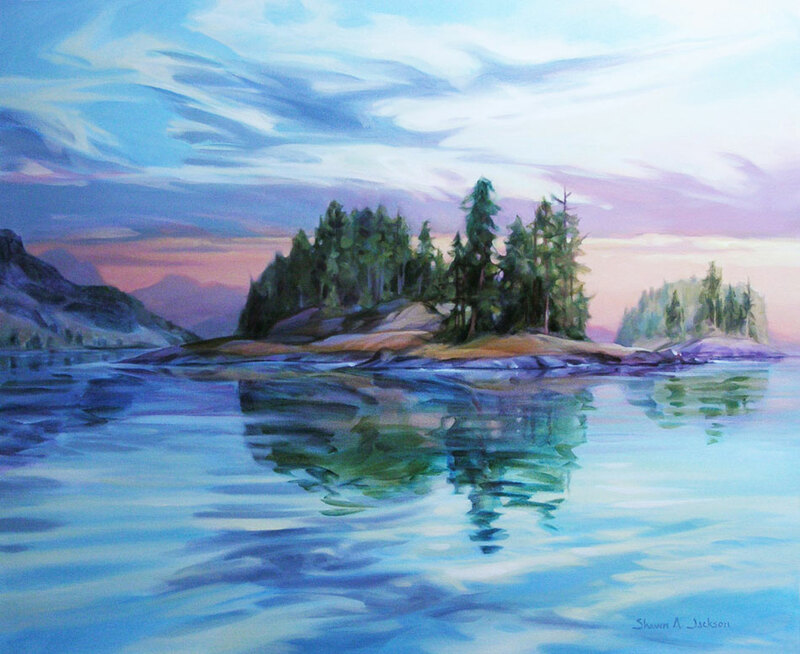 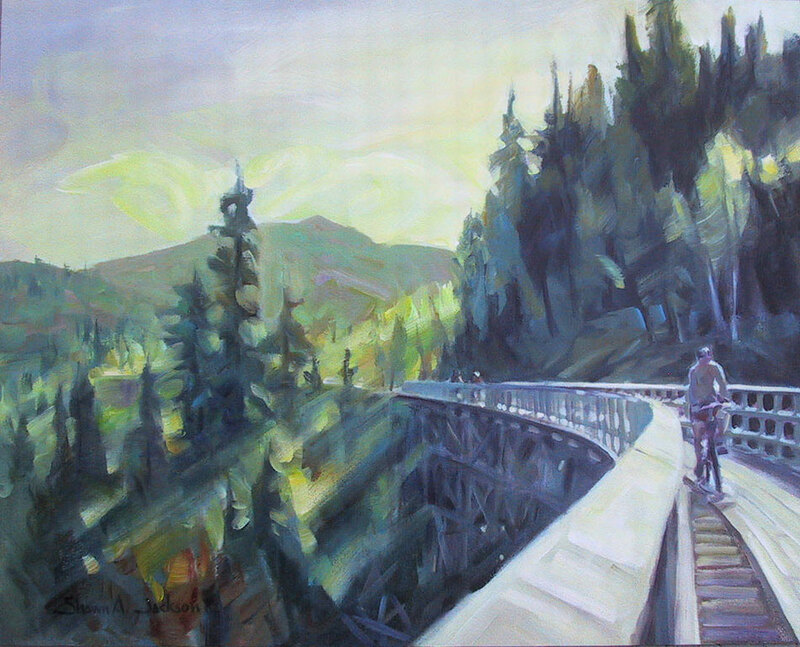 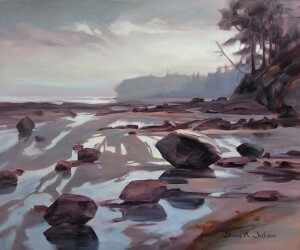 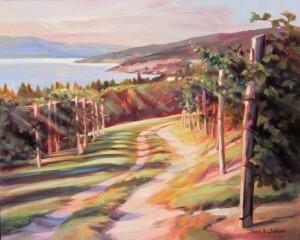 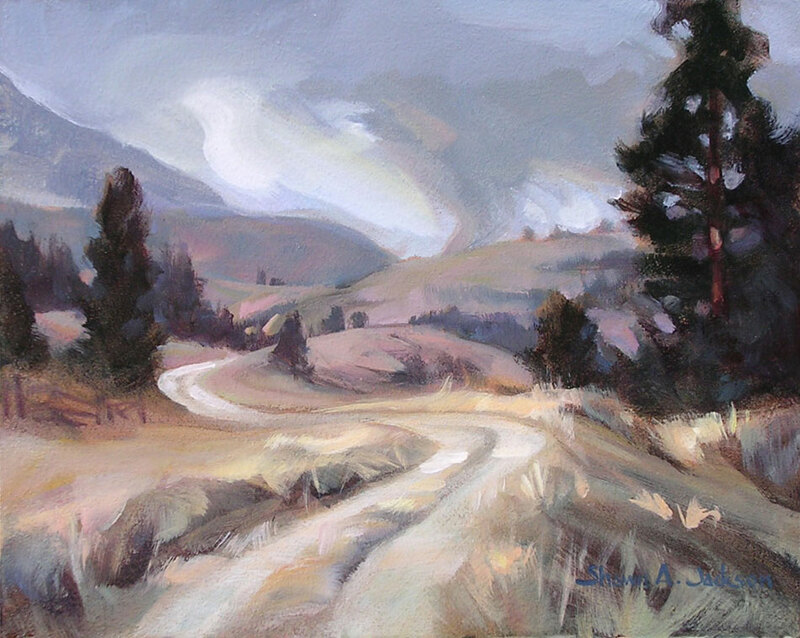 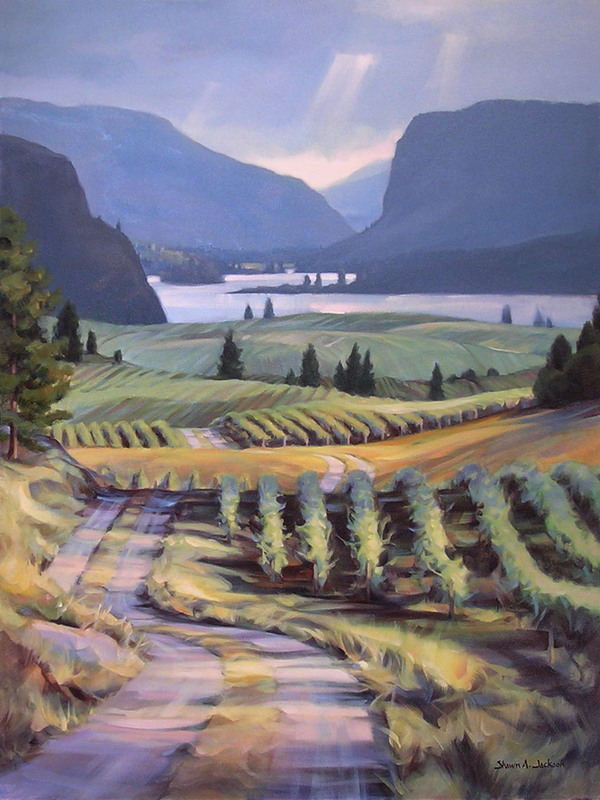 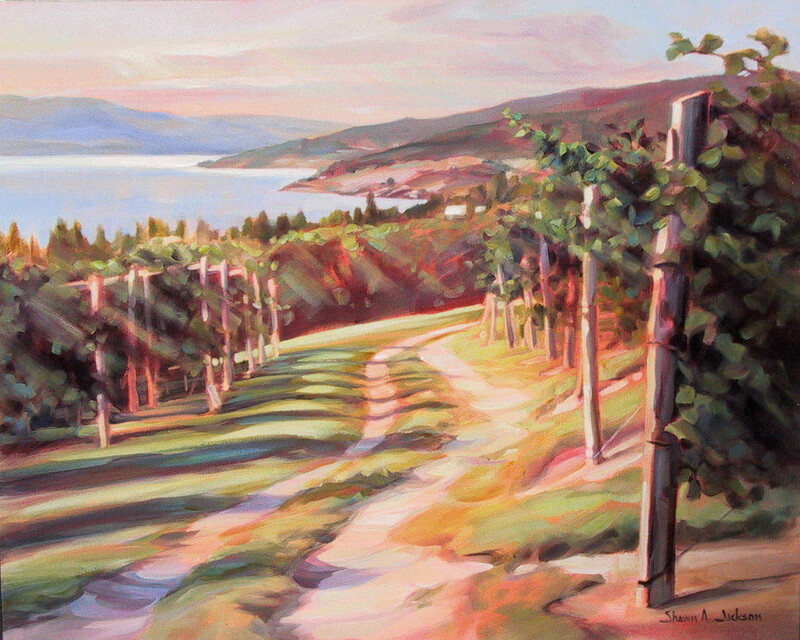 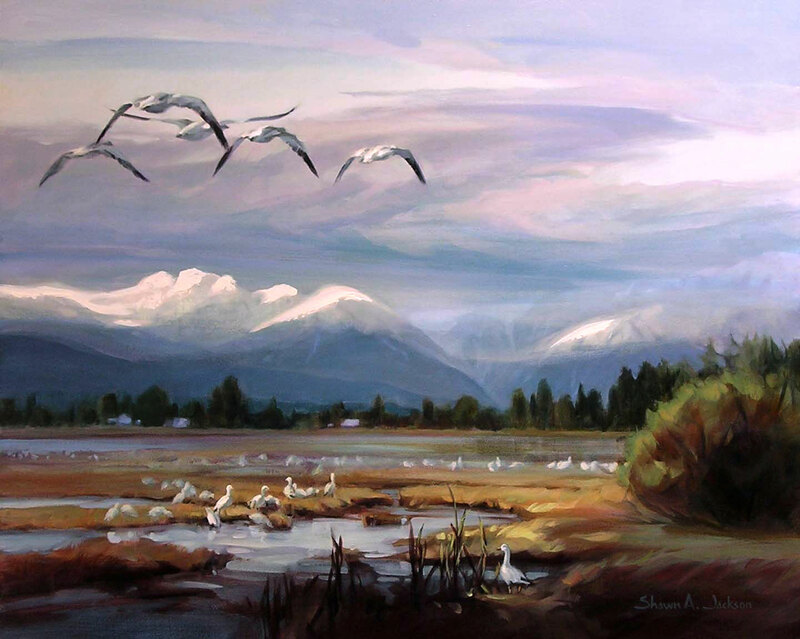 The Gulf Islands, Canadian Rockies and the Okanagan have inspired Shawn’s work, known for its impressionistic sweeping brushwork, atmospheric colour perspective and strong use of light and shade. Born in Victoria, BC, Shawn was raised in a creative family and participated in seminars and workshops with the Federation of Canadian Artists in Vancouver, B.C. 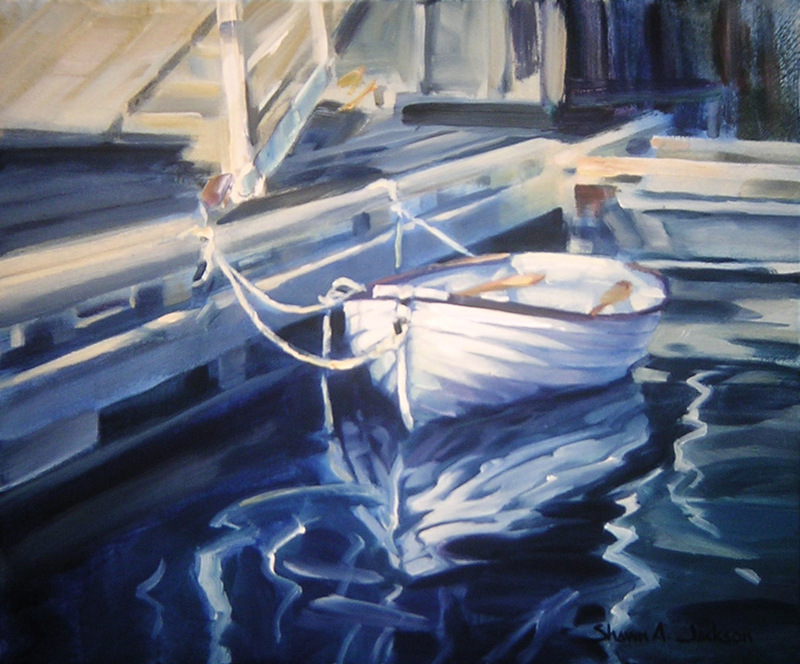 She has been an Associate member of the FCA since 1993.